First and foremost, you need to make sure people know what publication/brand this magazine issue belongs to. 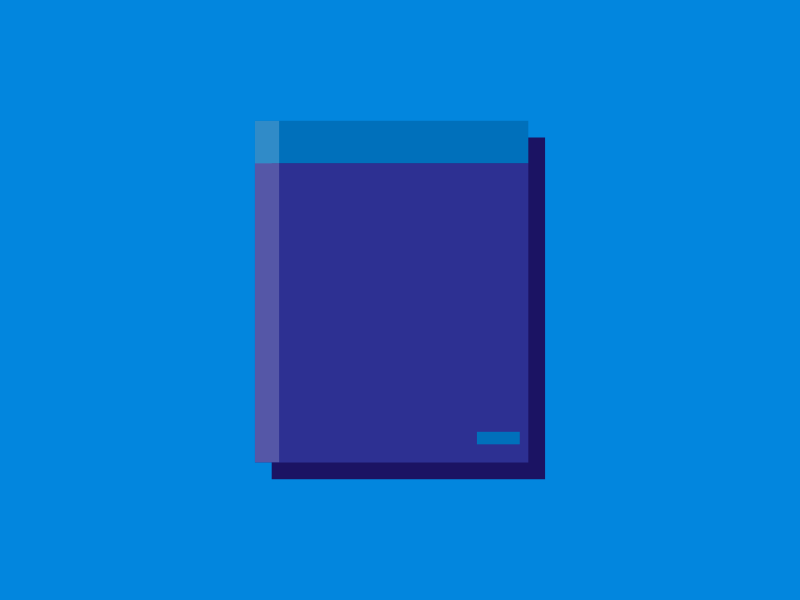 Have the title of the publication in a prominent place. Also, somewhere have the volume/issue number in a place where it can be easily cataloged. In addition to this, you’ll obviously need to present an image that will be visually appealing and relevant. 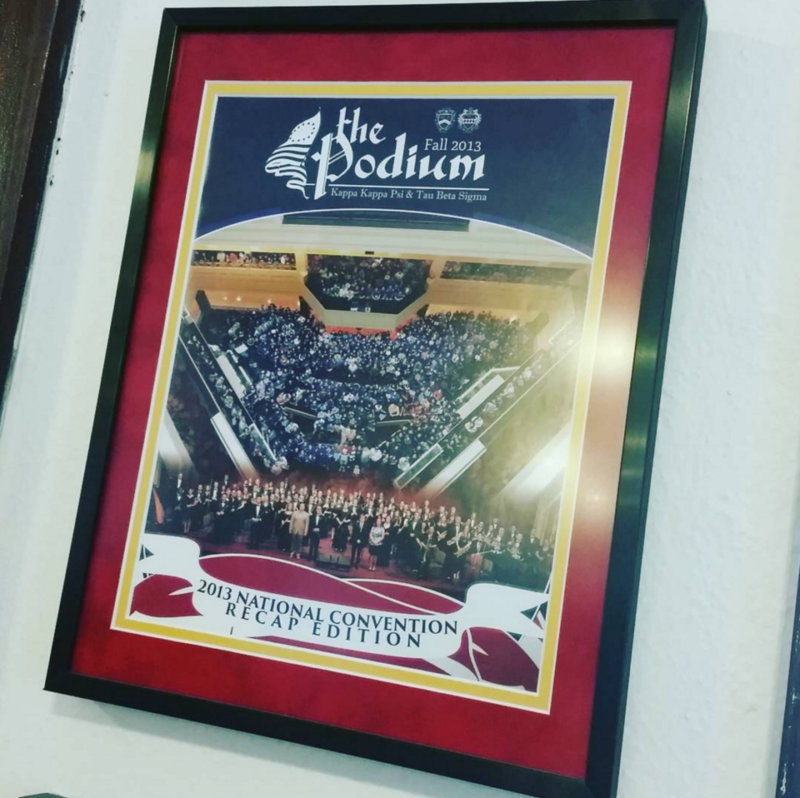 During my 2nd round interview for my current job, they asked me about being in charge of designing The Podium magazine. I described each page (particularly the cover) as a potential work of art. My excitement for this new challenge showed then and continues to motivate me. Throughout my time here, I’ve applied that kind of thinking to each cover I’ve designed. First magazine I designed EVER. 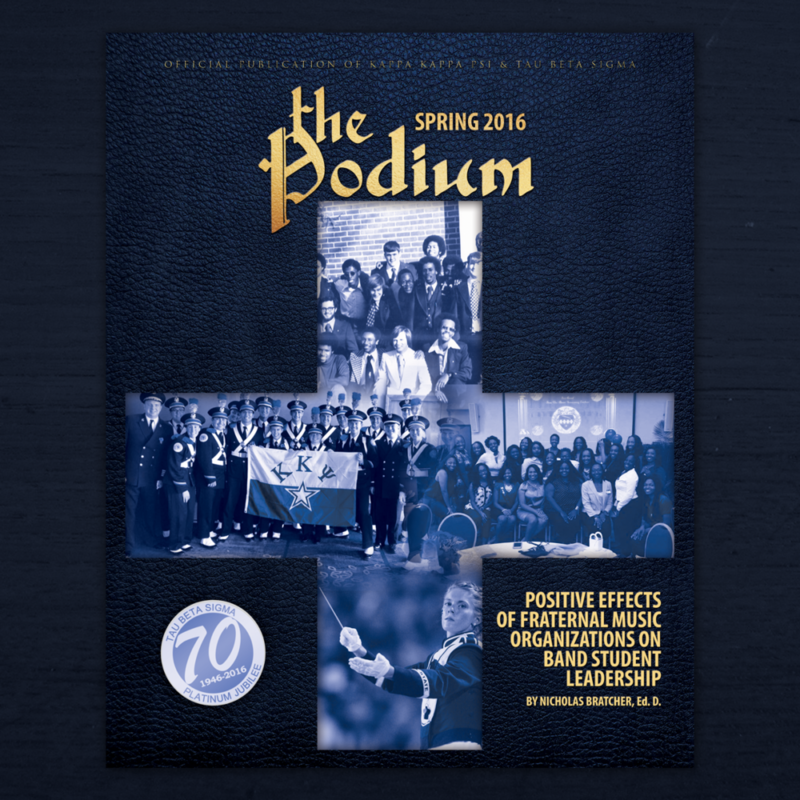 Each issue of The Podium is a snapshot of the life and times of the fraternity, sorority, and the overall band community. My job is to design and edit a 44-48 page magazine that captures that time. The cover acts as the window through which interest is piqued, memories are activated, and history is captured. The evolution of past covers themselves tell a compelling story. 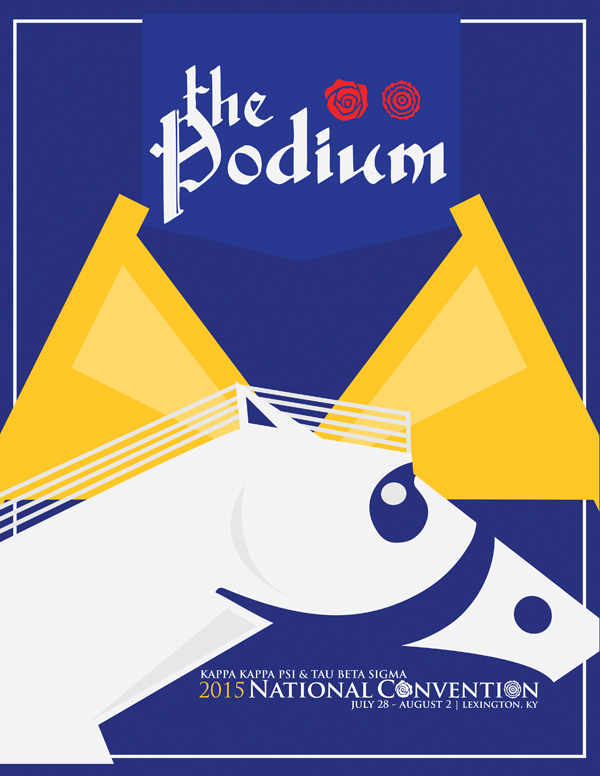 I am honored to be a contributor to the history of The Podium and these organizations. The magazine cover should act as an incitement to open the magazine and be a sample of what they can expect more of inside. The cover you design should fascinate as well as notify. The cover is the first notification of the story of the issue. There is a reason why the cover usually reflects the featured article inside. Work inside-out with your publications, establishing any themes and collecting all the relevant articles before designing the cover. 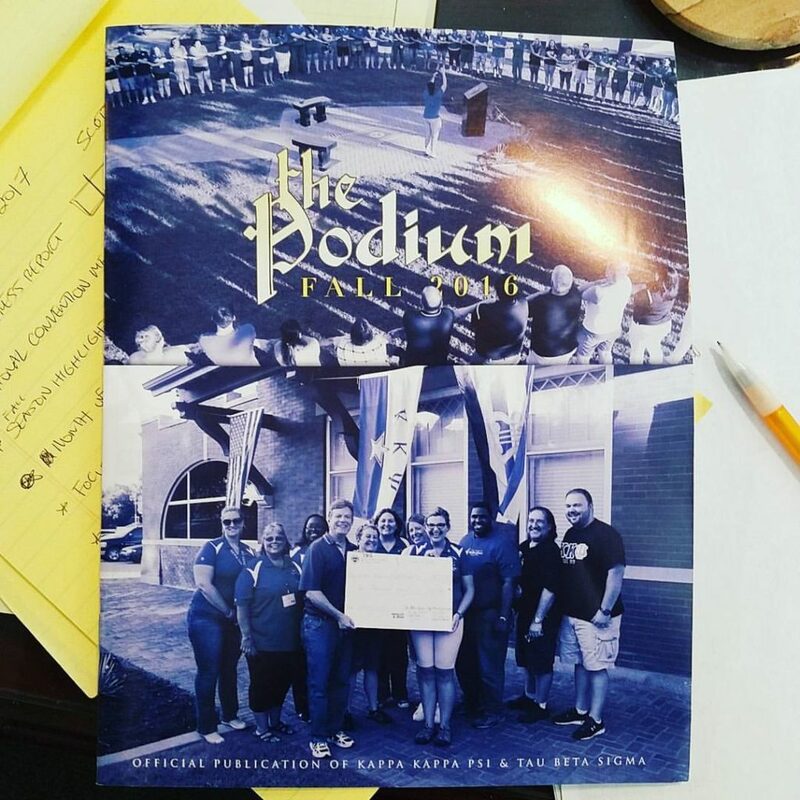 A well-designed cover with your unique mark and imagery has great potential to inspire your readership to engage with your work. We judge books by their cover all the time. Make sure you put your book in the best position to win the attention of your audience.